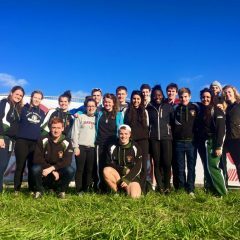 Home » News » Events » Swimming on the Continent! 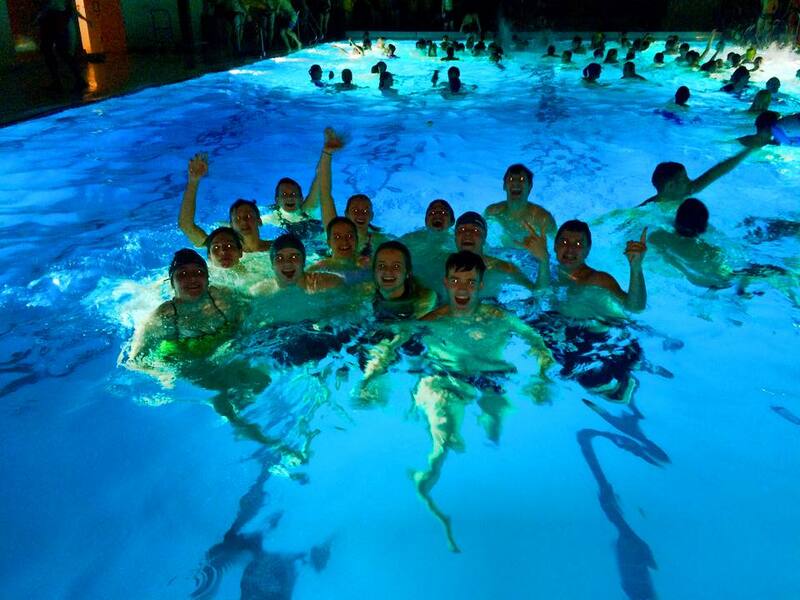 In the closing weeks of last term, EUSC had the privilege of travelling to Karlsruhe, Germany, for their annual Sprintnacht competition, along with university teams from across Germany and Europe. 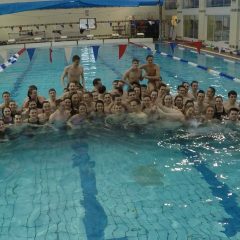 Travelling too with the Bath Swimming Team, our Karlsruhe hosts provided some fantastic food and drink, before getting down to the serious business of the Friday night competition. 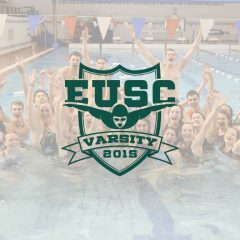 We had swimmers progress through the heats into quarter and semi finals, including Seun Olusanya in the semifinal of the 50m Freestyle, and Hannah Pullinger in the quarter final of the 50m Breaststroke. 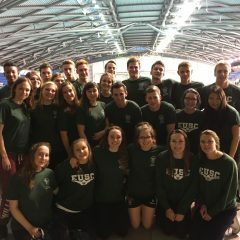 To round things up to a climatic end, the highly-charged atmosphere of poolside was heightened by the closing relays, in which the EUSC mixed team saw themselves through to the final, giving the team many memories to go home with. We would like to take this opportunity to again thank the Karlsruhe team for their kind and welcoming hospitality, and invitation to the event. 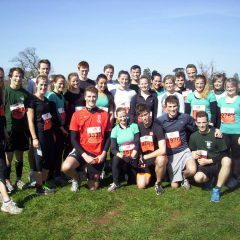 Well done to all our swimmers who represented the club.